In this week’s blog we are going to focus on the most technical Initial Coin Offerings we have thus far considered, and for myself, this is a refreshing change. Now, unless this is your first ICO 41 blog, you know that in this blog we try to swing between the business use of blockchain and the underlying technology behind it – and I suppose that just might be a reflection of my tendency to stand between the middle of these worlds for so many years. 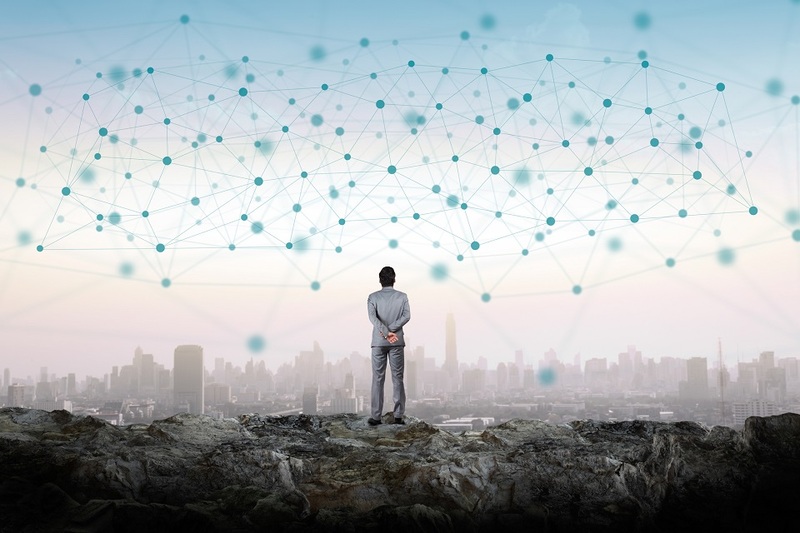 And when we spend a little too much time on the business side of things, we may tend to get caught up in the excitement of the promise of what blockchain can do – and I’m talking about the fundamental concepts of distributing the workload across many nodes, and removing that giant, centralized power structure to allow for peer-to-peer transactions – plus the immutable ledger that speaks the truth about what happened in the past – all of these great things that we have talked about. Well, in the investigation of this very technical and interesting project this week, we received a bit of a wakeup call – maybe you might say a reality check. What I mean by this is that as we dive into the promise of the likes of bitcoin and ethereum as platforms to provide blockchain technology, we run into some uncomfortable truths – and the people behind the project that we are analyzing this week are outspoken and articulate about some of these limitations. I have been thinking in the back of my mind about this for some months as I have been producing this podcasts, and I think it’s time to roll them out and consider them, one by one. So before we dive into the upcoming token sale we will discuss this week, let’s do that now. First, let’s look at Ethereum. Now, as we know from this podcast, it’s actually Ethereum, with its rich set of functionality that allows the deployment of smart contracts, and sophisticated distributed applications to run on its platform that has made possible the vast majority of the ICO’s that have swept the market over the last year or two. But the reality is that the inclusion of all of this functionality on the ethereum blockchain has caused it to grow to over 330 GB at the time of this podcast. Which means that a node that runs with all of the historical transactions from what is known as the genesis block – the very first block – is required to download and maintain a starting point of 330 GB. And even though it’s possible to do a lot with what is known as the lightweight client, coming in at around 30 GB – this is still a significant barrier to widespread adoption. Secondly, transaction speed and capacity on public blockchains is abysmal when you compare it to traditional client-server implementations. Let’s just take purely financial data – simple transactions . This is not a lot of data – it’s the identifiers – like recipient, sender, their identications, such as a credit card number, or in the case of blockchain a public key – 64 characters, when it happened and how much was transferred. Well, Visa reported in 2016 that their average transactional load, if you will, was about 1600 transactions a second. Paypal themselves handled about 6 billion transactions in 2016, so on average, it’s about 193 transactions per second. Ethereum is lucky if it can manage 20 transactions per second. Bitcoin is down to about 4 transactions per second. Needless to say, this is a serious impediment to widespread adoption. And then there are the fees. At the time of this writing, the average transaction fee appears to be between $4.00 and $7.00 per transaction. This makes it impossible to use for things like micro-transactions. In fact, the transaction price has risen about 1800 % over the last two years. Ethereum still has relatively low fees, but in an article written in August on HackerNoon, the cost of a complicated ethereum smart contract was up around the cost of a bitcoin transaction. What this basically means is that the massive and widespread migration of current technology to the public blockchains such as ethereum and bitcoin is most likely NOT going to happen the way many of the ICO’s and blockchain evangelists promise. So where does that leave us? Well, it most likely means that a large amount of the deployment of blockchain technology will happen privately. Because many of the issues that are listed above are at least mitigated, if not completely solved, by private blockchains – or side-chains. First, the concept – Lamden is in the process of constructing a framework that allows for the rapid development of blockchain technologies, and then takes it a step further by offering a distributed platform for routing transactions between different private and public blockchains. The team members of this project are very aware of the limitations that we have discussed earlier, and they also add to those things the fact that deploying and / or migrating your current infrastructure to the blockchain is not an easy proposition. Now it might be relatively trivial to actually get a blockchain up and running, it’s an entirely different proposition to build an ecosystem on top of it. For instance, simple things that we take for granted, like the Domain Name System – or DNS, which as you probably know allows us to type something like lamden.io into our browser, which is then instantly translated to an IP address that allows us to reach that site – well, that type of service is pretty much nonexistent for blockchains that need to speak with each other. And even if they can speak to each other, it’s very difficult to manage what we might call cross-chain payments – that is, payments between nodes operating on two different blockchains. Also, there’s an important part of modern software development called “DevOps” – short for “Development and Operations” this refers to the relationships between IT and Development. Now, if you don’t have a technical background, you might not even know there was a difference between these two groups, but there absolutely is, and they need to work together in order to get software released and functional. So in the traditional software development world, you have entire platforms devoted to this relationship – one of the best known examples is Docker. This software allows you to manage and launch your application from what is known as a container, which is portable between underlying operation systems. Not only that, there’s the issue of finding people who know how to build stuff on the blockchain – like fully-functional, robust and powerful applications that can solve complication business problems. According to an article posted last year on bitcoinmagazine, there were about 5,000 available developers who had extensive experience in writing software for the blockchain, and maybe 20,000 that had a small amount of experience with it. Compare this with about 9 million developers working with Java in 2016, with about 6 million C# developers. And like most development environments in the very early stages, there is no supporting development platform to make the deployment of blockchain applications a simple matter. Lamden intends to change that by providing a set of tools to allow rapid deployment of blockchains, simple implementation of smart contracts, and finally the ability for separate blockchains to talk to each other easily. The company is run by people in both Switzerland and northern California in the bay area. The company was registered in California in February of 2017, and according to LinkedIn there are nine employees. The profiles on LinkedIn show a talented group of technologists and business people. This company is particularly strong in software development. Most of the team members have active GitHub profiles and you can look at software repositories for some of them that go back years. There’s little question that this team can pull off what it is they plan to delivery, particularly because you can visit the repositories and download software written in Python that is functional. The team has also released a fifteen minute video that demonstrates the use of some of the tools that we will talk about when we discuss the whitepaper. The documentation is well-done. I was able to follow a document and some of their code that allowed me to get four nodes running on two private ethereum networks using a virtual linux machine in less than a half hour. First, there is a product or module called Saffron, which allows for the very rapid deployment of operational blockchains. With just a few environmental variables and some simple commands multiple nodes on multiple chains on different networks can be up and running. Next, there is Flora, which is a package manager. If you have any experience with linux, you are familiar with applications like apt-get or yum which allows you , with a single command set, to install, uninstall and update entire software packages. For Python developers there is “pip.” Flora allows this sort of thing but with smart contracts, and allows the distribution of those packages across multiple participants in the Lamden system. An interesting note here is that while the original plan was to use the Interplanetary File System , or IPFS, for data storage, they settled upon Apache Cassandra, since it was enterprise-tested, and apparently more scalable, since IPFS is still more-or-less in the alpha stage of development. The key to Flora is what Lamden calls “Template Solidity” – spelled tsol – and pronounced teasle. These templates provide the ability to re-use common contracts and then deploy the contracts with simple parameters that are definled when they are compiled. This also allows for a more dynamic definition of data structures. Finally, there is Clove, which functions as a router that facilitates the ability for blockchains – both private and public, to talk to each other. And by talk to each other we are mainly talking about payment, which is currently quite difficult. This router provides a public ledger that mainly routes between private chains. It won’t suffer from blockchain bloat, and it won’t need fees nor will it need to be run by difficult hashing functions. Instead, this lightweight router is designed to be powered by the private chains that it serves. The lightweight nature of this router has about the same demands, according to the whitepaper, as a typical web server – which is a lot less than would be demanded if it were a more traditional blockchain miner. The whitepaper then goes to explain at a high level the steps you, as a typical IT manager, or team of developers, would perform in order to actually make this system work. It starts with Saffron to get your blockchains up and running, followed by deploying some some ERC20 tokens or maybe some smart contracts using Flora, and then you use Clove to hook up your private chain with other private chains or the public blockchain for seamless inter-chain transactions. The last thing that the whitepaper does is introduce the token Lamden Tau, which is a digital asset that is designed to be completely native to Lamden and agnostic to all chains. This token will serve as an immediate, utilitarian entry point for developers to begin to transfer assets within the Lamden system, as well as a way to easily transfer payment from one chain to another, through an exchange with the Lamden Tau token. They key thing about this whitepaper is that it is geared toward developers and IT professionals that have probably attempted to deploy private blockchains and have run up against the difficulty inherent in getting chains to communicate with each other, attempting to make cross-chain transactions, and spent a lot of time developing smart contracts by piecing together code and libraries snatched from the web or written from scratch. One the significant things that is provided, not in the whitepaper, but in a vision document, is a high-level analysis of other competing platforms. They mention Hyperledger, and point out that the deployment using that platform requires advanced networking knowledge, and takes months to create a working blockchain environment using that platform. They also point out that the interoperability of Hyperledger is confined to .. you guess it – other chains using Hyperledger! Another was Tendermint, which not only required expert networking experience, but also a high degree of knowledge in consensus algorithms – and zero interoperability. In the table in the document, the Lamden platform stood out as the only project that allowed truly rapid deployment – a matter of days, with universal interoperability – thanks to the likes of Clove. This platform represents the first major creation of a platform written by and for developers who need to deploy blockchain rapidly and efficiently. The road map has about a total of a 1-year timeline after the token sale , where all the software will be deployed in a stable, version 1 release, and the protocol specification will be documented. Taking a step back to the present, about a month after the Lamden Tau tokens are distributed, which will occur in December, they expect to have a rigorous testing of all three tools working together, with Q & A testing, and alpha releases of all three products by the end of that month. One of the significant milestones that is part of their road map is an enterprise Case Study, which is planned in Q1 of 2018. A month after that they hope to have a front-end interface completed to browse and interact with a web application version of the Lamden suite of applications. By the summer of 2018, they intent to have the Lamden Tau token deployed on a high throughput blockchain, followed by a Lamben Tau migration event. The name of the token is Lamden Tau, or just TAU. To participate you must register, which is simply filling out a form and providing an ETHEREUM address that you control – not one form an exchange. The presale is going on right now and ending November 1. For each ETHER contributed, the contributor will get 3,196.81 Tau, which, and at a $300 USD / ETH price, it comes out to $.09 per TAU. There’s an uncapped individual contribution limit in the pre-sale, and there is a $5M hard cap during this presale. Prior to the presale, the team announced that they had received $150,000 in seed investment. The token sale itself launches in mid-november. During that time, the USD/ETH price will be determined just 24 hours before the launch, but the price of ETH to TAU in this case is 1966.1 TAU to one ETHER, which provides some pretty good incentive to participate in the pre-sale. There’s a $45 USD Hard cap for that sale, and there will be individual contribution caps, which will be determined when they know how many registrants there are. They use a fairly simple but somewhat dynamic formula to determine the individual cap – you can check it out at lamden.io. The maximum number of tokens that will be generated is 500,000,000, but any unsold tokens after the sale is complete will be burned. There is no hint of a speculative approach to the coin here, no hint anything that would point in the direction of a security, and the use of the token is entirely utilitarian, as is the entire platform itself. The team has issued a couple of press released, they have a nice explainer video, and also a youtube video that has a title that speaks for itself – Private Ethereum Blockchain in 10 minutes. And this is essentially a demonstration of saffron and flora, where they register some flora users, upload a smart contract to generate an ERC20 token, then use saffron to initialize the token, and then walks through a wizard-style process that takes a few parameters to instantly create the chain, and using flora as a package manager, they are able to deploy a templated contract on the chain with a single command with parameters. Now the beauty of this is that you don’t have to be a developer to do any of this. There are templates provided that allow you to make a few basic decisions about the contract and then deploy it instantly. If you are a developer I think you’ll see the value of this, but if you’re not, I’ll ask you to take my word that this saves a LOT of time, and makes the whole premise of blockchain and smart contract deployment a lot more palatable for companies who are considering using this technology. On Reddit and BitCoinTalk there’s not a lot of reaction from the community, and this might be because there is no bounty. If you ever get a chance to head over to BitCoinTalk.org and look at some of the ICO announcements, you’ll see that there are about a 100 comments about bounties for every serious question or comment about the project itself. So this project is sidestepping all of that. One thing I noticed is that the team has a very open policy – they are clearly committed open-source software developers, and so they welcome community involvement in the code – and as I mentioned they are very active on github. One of my favorite part of putting this podcast together is direct interaction with the people who are running the token sale, and this is no exception. In terms of business viability, I think there’s little doubt that there is a strong use case for what it is that Lamden in building – one of the reasons why we are still considering the blockchain in an infancy stage even almost nine years after bitcoin’s genesis block is because of a lack of simple tools to deploy the technology. And further than that, I believe happen to agree with the team in that the widespread adoption of distributed applications that are running on public blockchains are a bit of a fantasy – the explosive growth is going to be more like a distributed system of thousands of private blockchains that all have to easily talk to each other – and which make use of and occasionally transact on the public chain when they need to. The is a much more realistic future – and anything that makes this easier to happen has a high chance of success in my opinion. If you think about the company and what they will be doing – they will be using their token as a way of facilitating these inter-chain transactions, and therefore the token will eventually be used a lot, which will bring value to that token. That’s my humble opinion, anyway. For me, the final takeaway is this – This is straightforward project conceived by a solid team of bright and talented developers who are creating something for developers. And if you look closely at the blockchain from the very beginning, this is a technology is essentially an invention by programmers. And not only did they invent it, they actively control it. For instance, the recent and future splintering of bitcoin with various hard forks – all decisions made by developers. The impending change from Proof of Work to Proof of Stake for Ethereum decisions by people who maintain the code – this is not going to change. And so a good bet, if you believe in this space, is a bet that 1) seeks to mitigate some of the obvious challenges of the technology and 2) places tools in the hands of those that control and can make the technology happen.